We received fertilized eggs from neighbour Glenn (who lives far enough out of town to have a rooster) when Lizzy (our Sussex hen) became broody. 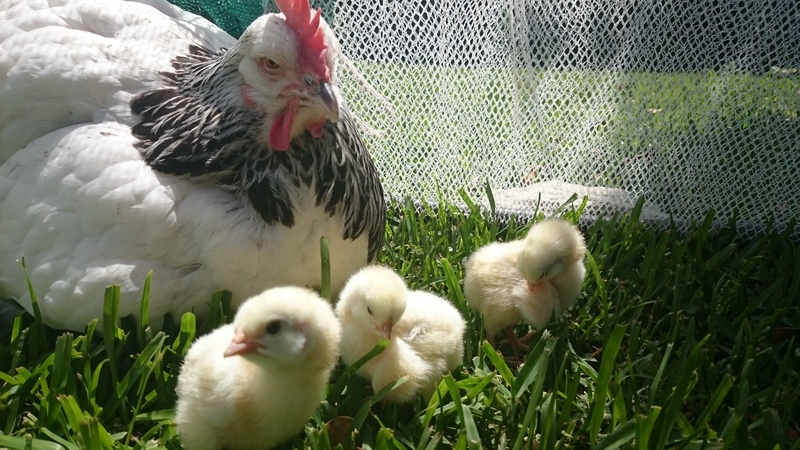 This is the second time we’ve tried, but this time we followed the-chicken-chick.com website for advice and although we started with 8 eggs, after candling them and throwing away 5, we were left with 3 eggs that hatched. They emerged the day after a violent hail storm, on the 29th of December, so we’ve called them Storm, Hail and because s/he likes to cuddle up, Angle. 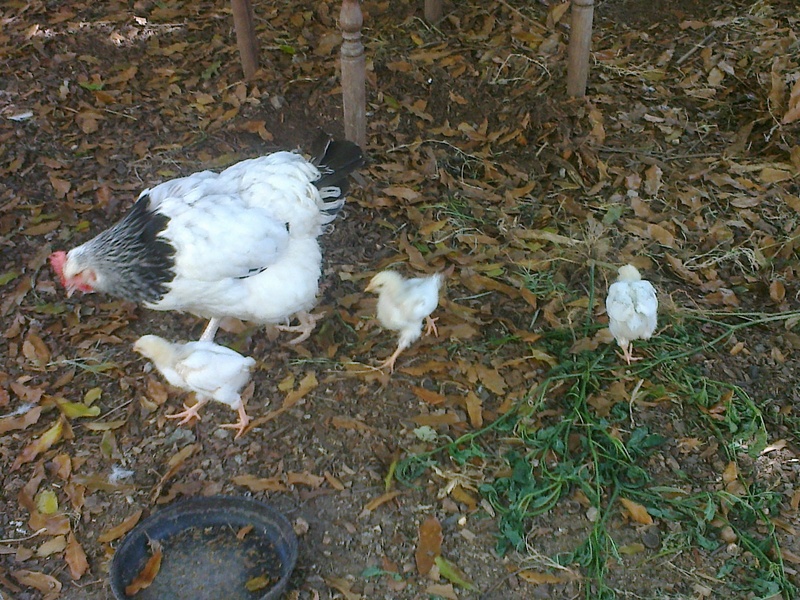 A week later, there were growing winglets. 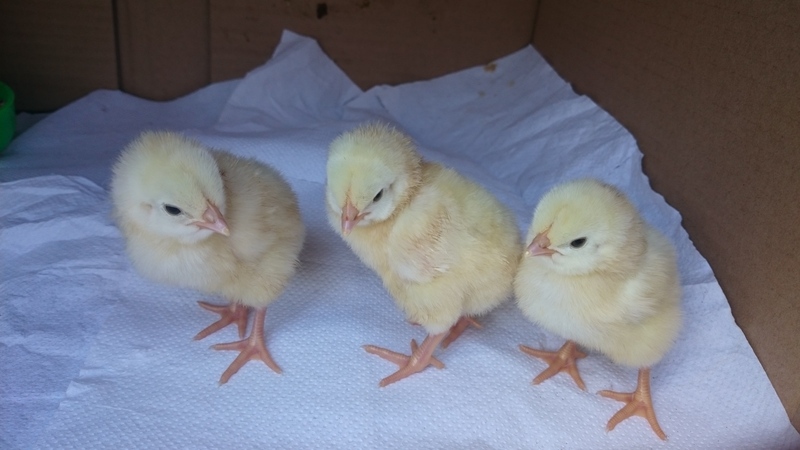 A month later, the chicks have wings and are getting up to all sorts of mischief. Lizzy has proven herself to be an excellent mother. They hatched on Saturday 29th, the day after the storm. This entry was posted on December 2, 2014 by Equanimity Foundation.